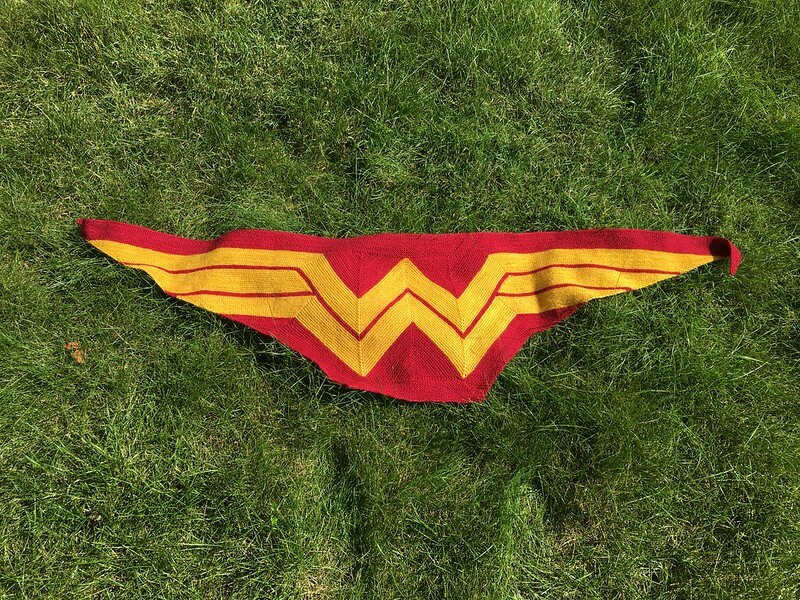 You see, my sister has both an email address and a bumper sticker that identifies her as “wonderkaryn,” and her birthday was coming up on August 10. I knew it would be a very tight turnaround, but I had to try. 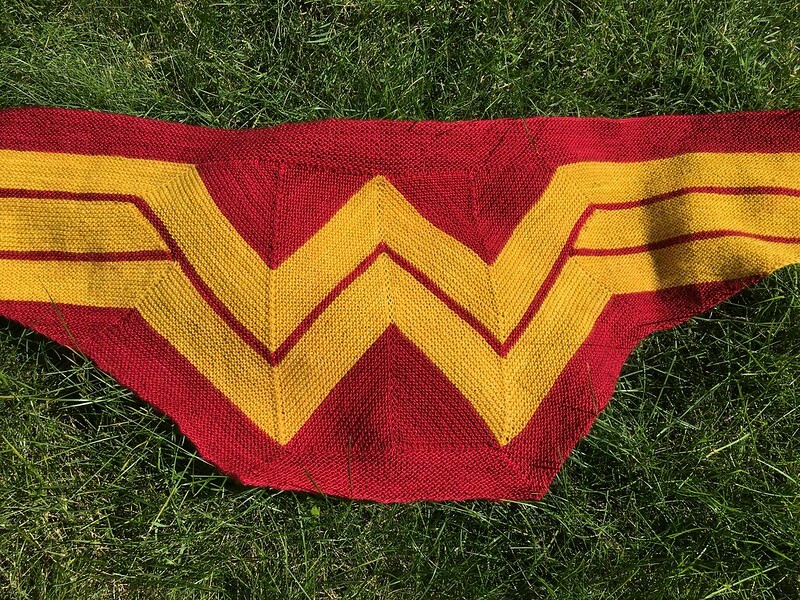 It looked like a fun project to knit and I could gift it — perfect combo! The only problem with knitting something in mere weeks and wanting it to be a secret is that I kinda forgot to take progress photos. Oops! 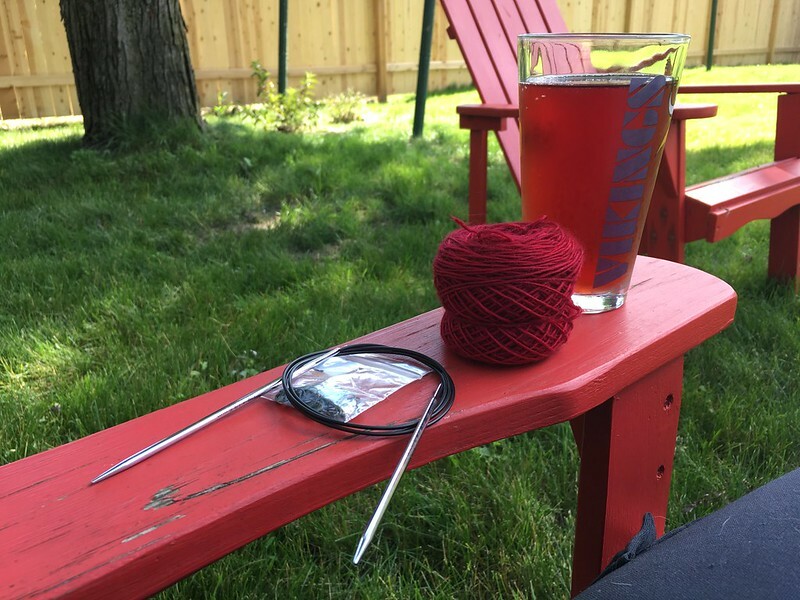 But the photo above somewhat verifies that I had a very good summer for knitting in my newly fenced-in backyard, surrounded by lots of healthy plants and good drinks and (not pictured) very expressive neighborhood birds. 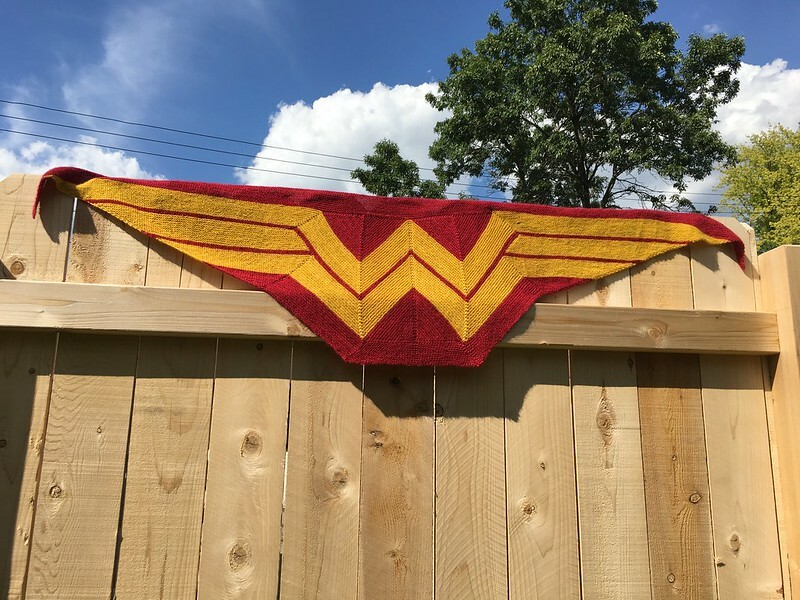 I did enjoy this pattern and it was actually relatively simple once I remembered the best methods for wrap-and-turn short rows. The shaping and color changing kept this project interesting and, honestly, hard to put down! It’s a little confusing to stop in the middle of a wrap-and-turn section so I tried not to. This wasn’t my favorite yarn to work with simply because it a little scratchy and overly fuzzy (three cats provide enough fuzz in my life), but it was a superwash and the colors were perfect. Funny story about the acquisition: I was one of those customers that walks into the yarn store a half hour before closing to “browse.” It was also stinkin’ hot that day, so I was sort of feeling worn out and a little impatient (in a fairly unfamiliar-to-me store layout). 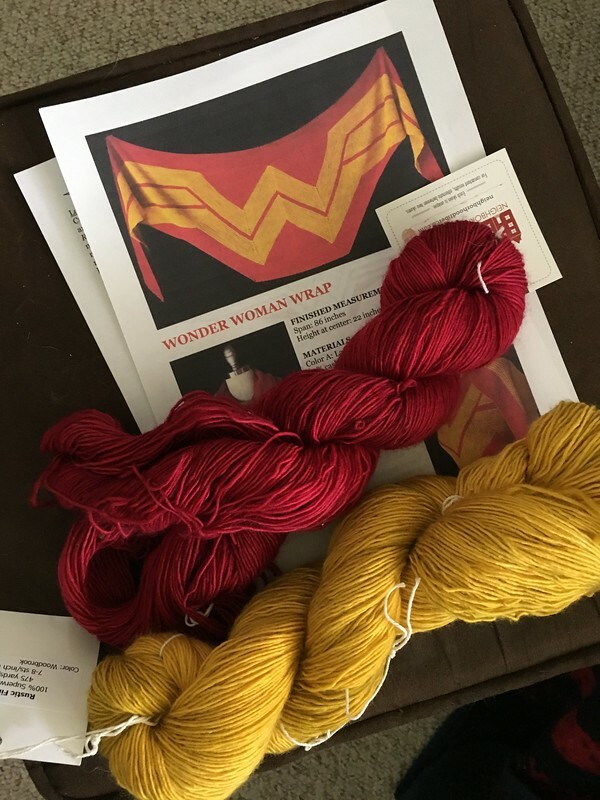 I told the clerk on staff about this perfect project and she actually hooked me up with two skeins she had set aside to buy for the very same pattern. She let me buy them so that she wouldn’t — as a former yarn store employee, I know where she’s coming from! In any case, I do enjoy trying out new-to-me yarns so it all worked out a-okay.